AMD’s Ryzen 1800X is reportedly outperforming Intel’s 10-core i7 6950X monster in reviewers’ testing with one-click overclocking on air. Editors of Turkey’s oldest and biggest hardware and technology pub donanimhaber.com recently published a youtube video discussing Ryzen’s performance and overclocking capability in testing conducted for their upcoming review. Whilst cleverly skirting around NDA they revealed a lot of information that’s sure to excite overclockers. So, without any further delay let’s get into the juicy bits! You heard that right! 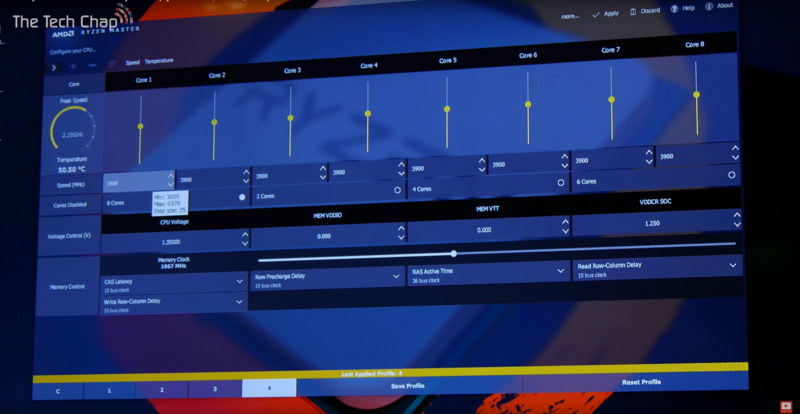 While the editors did not quote the specific clock speed they managed to hit with their 1800X sample, as that’s still under NDA, they did reveal however that the 1800X is a phenomenal performer once overclocked. 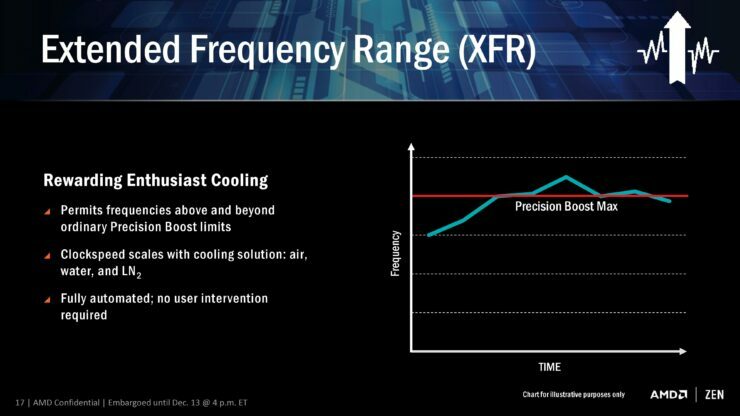 The CPU reportedly outpaced Intel’s 10-core i7 6950X mammoth and even Intel’s single-threaded king the 7700K in a single-threaded test on a Noctua U12S SE-AM4 air cooler with “one-click auto-overclocking”. 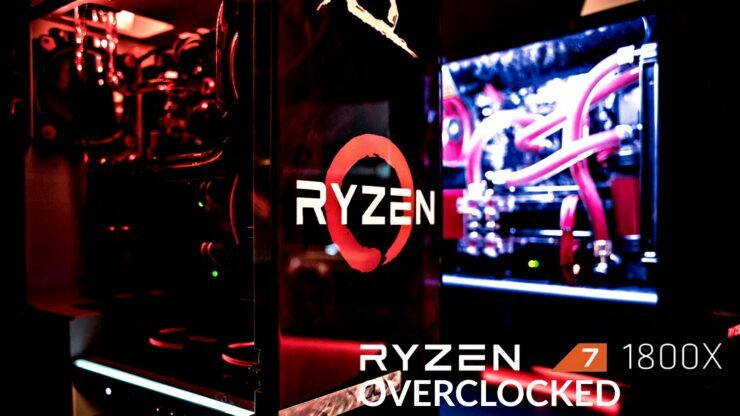 AMD made a big fuss about overclocking Ryzen since day one. The company made an ambitious promise, that its competitor seemingly never even contemplated, of unlocking its entire Ryzen lineup to allow users to overclock any and all Ryzen chips. Suddenly a $329 Ryzen 7 1700 can be overclocked to perform like its $499 1800X bigger brother. This obviously takes the huge value proposition that AMD is making with its very attractively priced Ryzen CPUs and multiplies it several fold when we take into consideration Ryzen’s impressive IPC. The instructions per clock of the company’s latest Zen microelectronic are significantly higher than anything it ever had before. 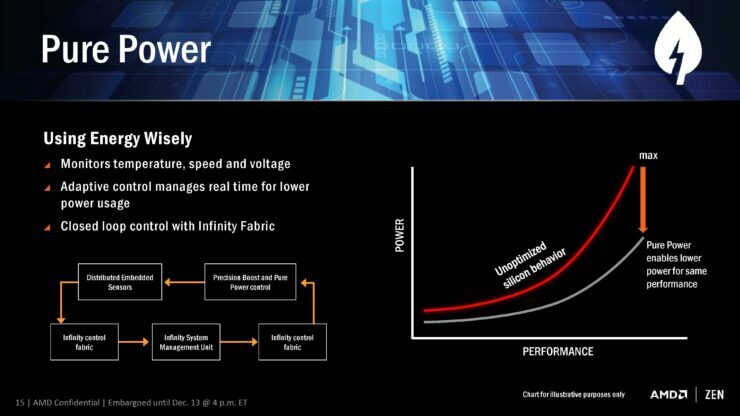 In fact, according to the latest benchmarks that have made the rounds on the web, Ryzen offers even better single-threaded performance per clock than Intel’s Kaby Lake. This means that even the smallest of overclocks can yield worthwhile gains, especially for gamers. 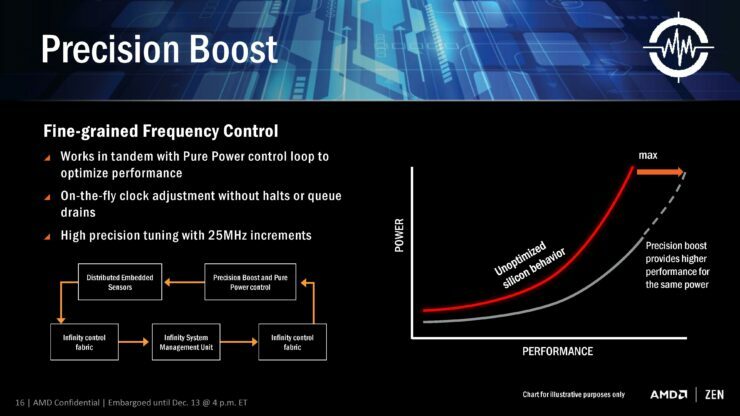 In its effort to double down on overclocking by making it easier and more accessible AMD is introducing its own in-house overclocking utility called Ryzen Master. The new application gives users a simple to use interface with a fine-grained level of control. This, in combination with auto-overclocking features offered by board and AMD’s clever Extended Frequency Range technology have made overclocking a Ryzen CPU an effectively effortless task. With one click being all that it takes to effectively add a few hundred dollars worth of performance to a Ryzen chip.